Sterling silver necklaces exhibit an unparalleled level of brilliance and polish to finish off your outfit. This elegant and durable metal is smooth to the touch and goes well with any texture, color, or metal. 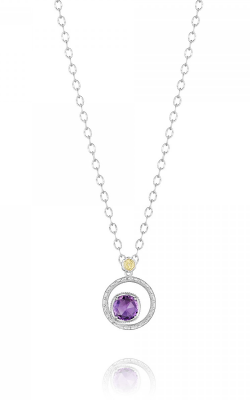 Pair your silver necklace with a mixture of metals to express your individuality and style. 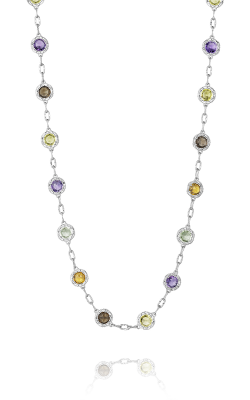 Choose from a variety of gemstones to add a pop of color to your neckline or pendants to reflect your unique style. 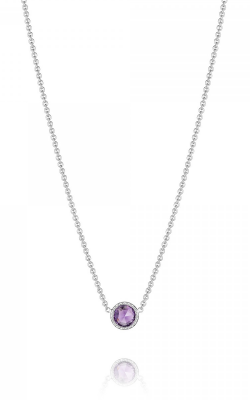 Silver necklaces are perfect gifts for a loved one or yourself. Long Jewelers is a proud retailer of designer chain, choker, pearl, pendant, heart, link necklaces and more chain types to enhance your comfort and style. Long Jewelers’ Virginia Beach Boulevard showroom proudly showcases innovative jewelry brands like Tacori. 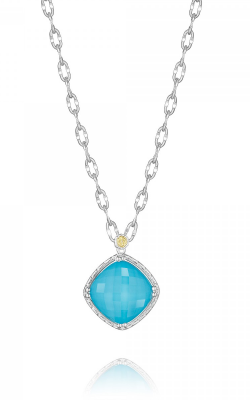 Tacori’s sterling silver necklace collections include the light and airy Island Rains collection which featuring Swiss and London Blue Topaz gemstones. 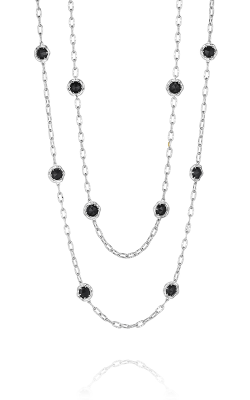 Tacori’s Classic Rock collection offers wearers a perfect blend of dark Black Onyx and soft white Chalcedony gemstones. 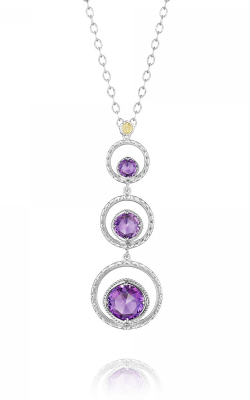 For a delicate and feminine design, explore the Lilac Blossoms collection which features pleasant hues of Amethyst and Chalcedony. 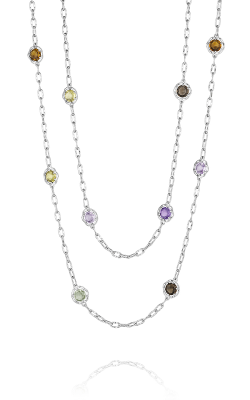 For a burst of vibrant colors, choose silver necklaces from the Color Medley collection. 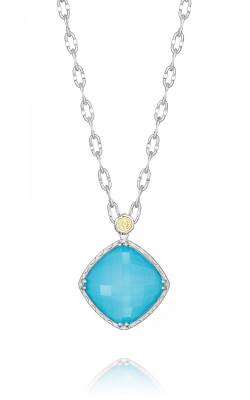 Find a variety of Steven Douglas sterling necklace collections inspired by animals and sea life. Explore from hundreds of miniature sculptures of Flowers, Angels, Animals, Shells, Mermaids, and more. Inspired by nature and creativity, each figure is sculpted by hand. 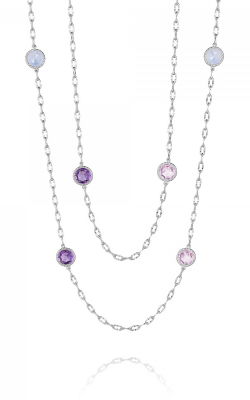 Long Jewelers also carries many fine sterling necklaces from The Sterling Collection by Charles Krypell. 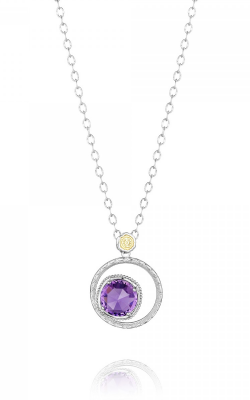 This necklace collection offer jewelry lovers elegant and feminine design details like lacework, heart pendants, colorful gemstones, and unique stone shapes. 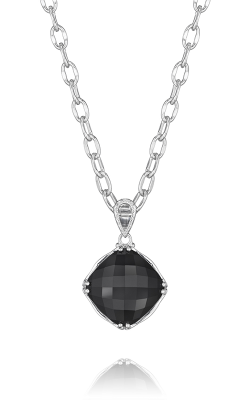 These necklaces often feature two or three-tone metals for a modern look. For over 30 years, David Long and his company, Long Jewelers, have been premier providers of fine jewelry for residents of Virginia Beach, Virginia. Visit their ample and acclaimed showroom on Virginia Beach Boulevard to explore a variety of designer wedding bands, engagement rings, Swiss timepieces, and fine jewelry items. 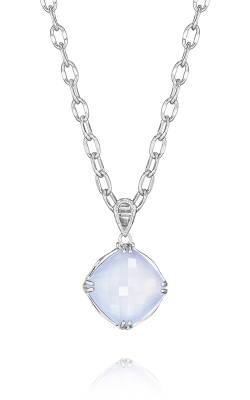 Find fine sterling silver necklaces from renowned designers including Charles Krypell, Steven Douglas, and Tacori. 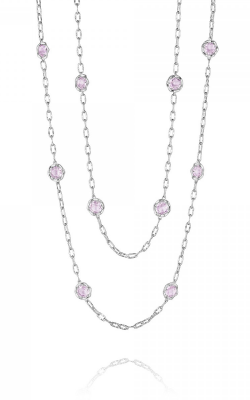 Long Jewelers’ helpful staff can guide you through the different types of necklaces and stone, based on you or your partner’s preferences. For more information about products or services, contact Long Jewelers at (757) 498-1186 or info@longjewelers.net.